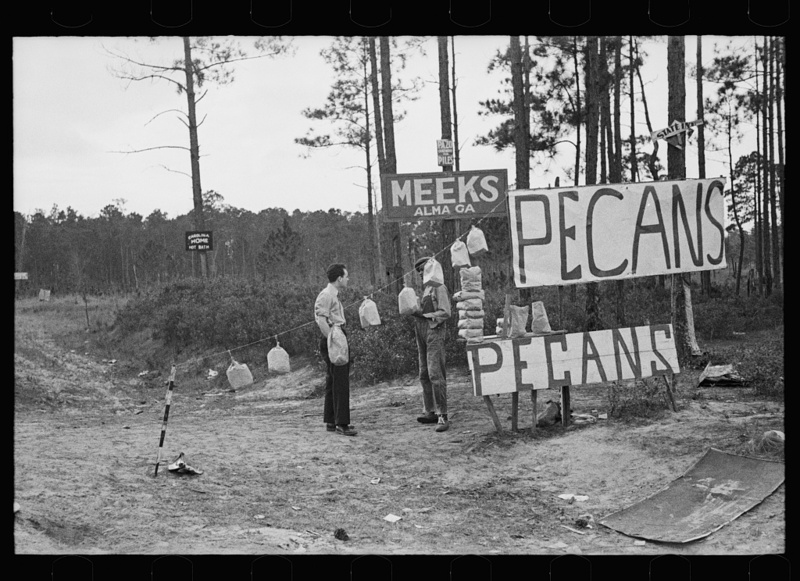 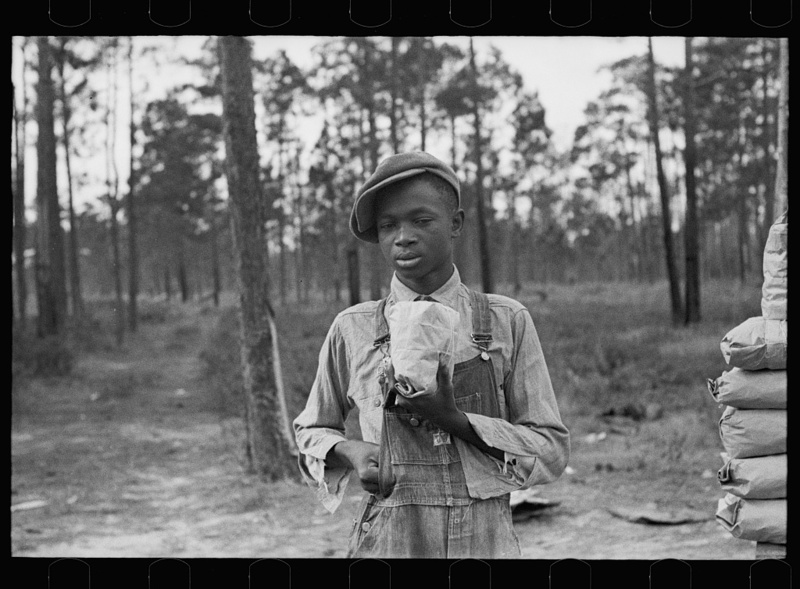 At 10 lbs./$1, pecans were a high-priced commodity, even during the Depression era. 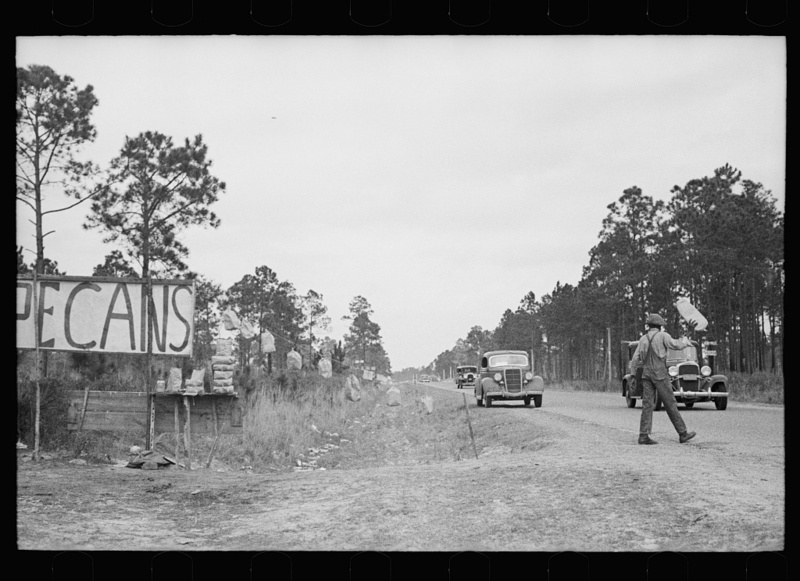 It was a common practice for producers to sell their crop directly to the public, foregoing the costly middle man. 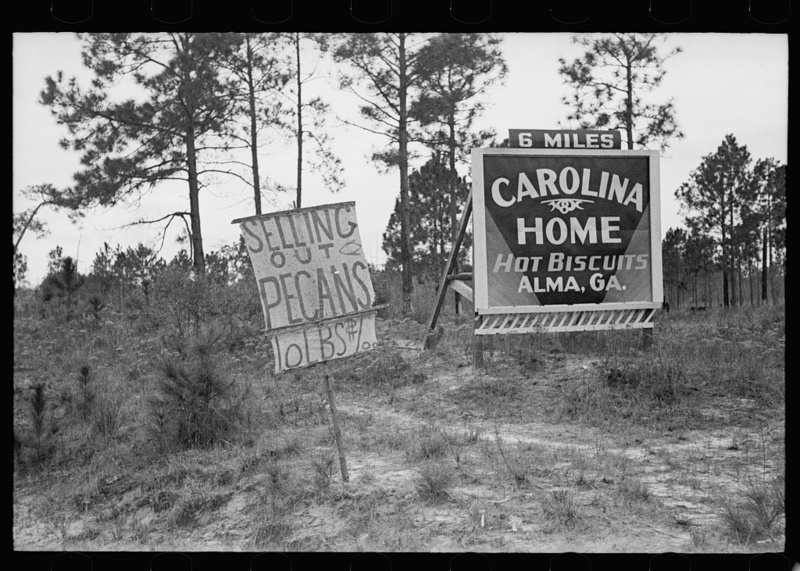 The sign on the right advertises the Carolina Home Restaurant in Alma, tempting travelers with the promise of “Hot Biscuits”.